It’s the most wonderful time of the year….BACK TO SCHOOL!! Yes, I’m one of the parents who is celebrating as my darling offspring will be heading out the door next week to enjoy the structure and routine of school. This also finds me searching for creative, healthy lunches which my girls will actually dig. 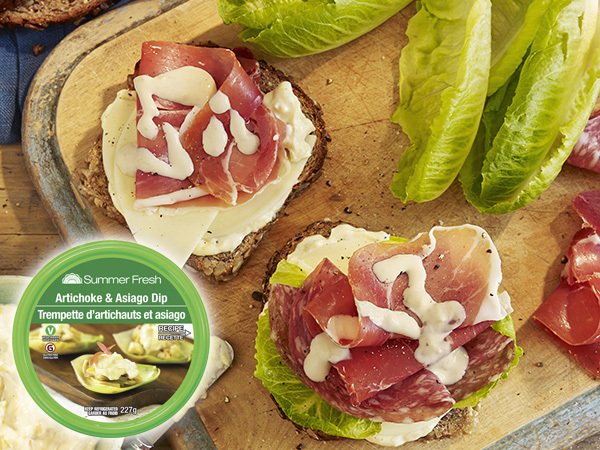 One of our favourites for lunches are the Summer Fresh products which help me to up my creativity! Summer Fresh is having a #FRESHBTS Twitter Party on September 10th from 9-10pm EST! We’ll be chatting about back to school sandwiches w/ Summer Fresh. $150 grand prize. 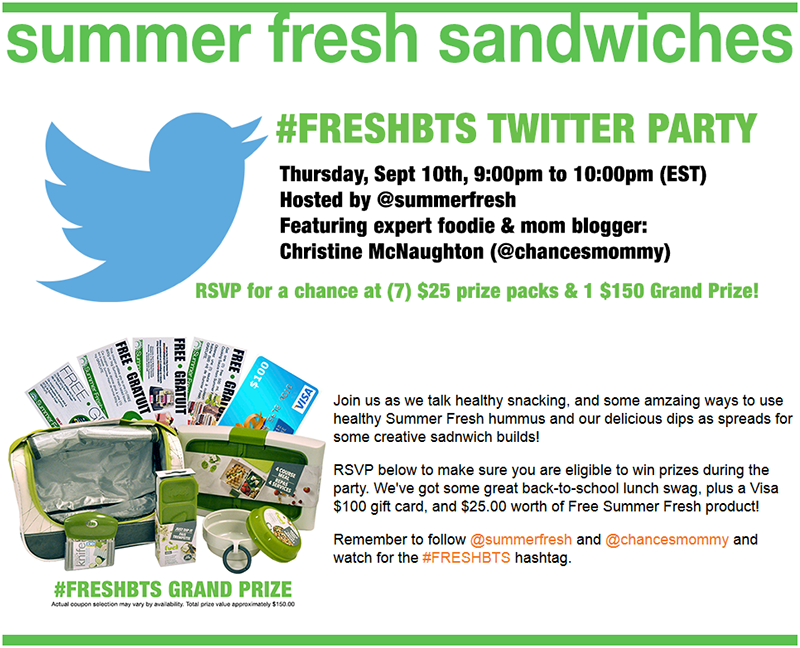 To participate, all you have to do is RSVP with the linky below and follow @summerfresh, @chancesmommy, as well as moderators: @soberjulie, @thislilpiglet and @WestCoast_Mommy on Twitter and use the #FRESHBTS hashtag and join the fun conversation on September 10th at 9pm – 10pm EST. 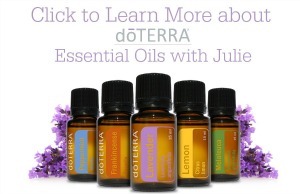 To RSVP, just simply add your link below. Eligibility: Open Worldwide, only residents of Canada eligble to win prizes.